About Us - True Tube, Inc. 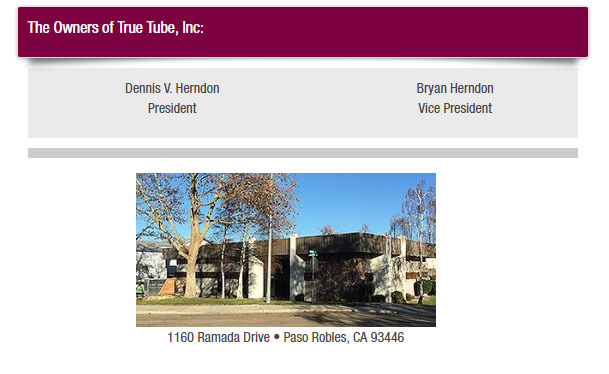 True Tube, Inc. started out as R&D Machine Company back in 1976. It was started by Robert Galli, a genius in the metal forming industry. In 1980 R&D Machine became True Tube, Inc. and expanded into a new facility in Paso Robles. Our specialty tubing is a tapered wall tube (fuel rod simulator) used in the nuclear power generating industry. The process for manufacturing these tubes was developed by Robert Galli.